At our core, we are pioneers and explorers. 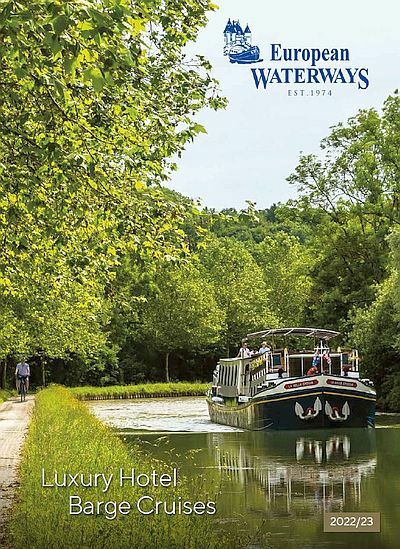 In the 1970’s we became just the third company to offer holidays on the French Inland waterways and we have since developed into the longest established hotel barging operator. Our first Hotel barge, Anjodi was discovered in the back waters of Amsterdam in 1982 and made her way across Europe to the South of France along the beautiful intimate canals that we now navigate on a weekly basis. In the 90’s we were the first company to cruise the River Cher in the Loire Valley in over 50 years, and last year, we took the Spirit of Scotland across the choppy waters of the North Sea, from her birthplace in Holland to her new home on the Caledonian Canal. Even more recently than that, we’ve been plotting a potential new scenic route through the forests and most idyllic canal of Burgundy, the Nivernais. Autumn is the ideal time to cruise in France, the uncrowded waterways and such vivacious colour in the changing leaves make it seem as though you’re experiencing another era. Which is why in early November, aboard our 100 year old L’Art de Vivre we set off from the medieval town of Clamecy, on the enchanting Nivernais Canal, bound for Fleury, the company’s birthplace. After a breakfast of fresh strawberries and croissants we pottered through the three summit level tunnels near the lake of Baye, on the edge of the Morvan forests. Further on, along a section of the Nivernais canal that hadn’t seen a vessel of this size in decades, we found there was barely room for the barge itself. Trees overhung from either side to form a golden archway as far as the eye could see and we enjoyed a sense of serenity that is rare in this digital age. Apart from our two lockkeepers, we didn’t encounter another soul for miles at a time, just verdant fields, white Charolais cows and tiny hamlets, shutters drawn against the crisp breeze. The canal itself was immaculate with an ever present towpath and well-kept locks. En route to Fleury we stopped at several traditional French bars, sampling a delightful array of cheeses and vintages from local Burgundian vineyards, even encountering a Romany gypsy band who played long into the night before retiring to the wiles of the countryside, and us to the comfy cabins of L’Art de Vivre. Rounding a tight canal bend the following day we had the privilege of passing the mock Renaissance chateau of Chatillon en Bazois, which sat high above the town, surrounded by wild greenery. We were struck by the sheer character that these old buildings exude and often found ourselves feeling as though we were on the set of a film. Our favourite experience it has to be said, came when we arrived at the Maison éclusière (Lock House) in Fleury where our company was founded in 1974. After a brief explanation on the nature of our trip, the restaurant owners Vincent and Stephanie insisted we dine alongside them inside the lock house, which they had converted into a fantastic retro restaurant. We were met with a Champagne reception and kept company by the local mayor and his wife and son, the largest owner of Charolais Cattle in the area, the conversation was scintillating and the chateaubriand, sumptuous. It was a night that will live long in the memory and a spontaneous, intimate experience typical of a European Waterways cruise. It was with heavy hearts that we departed France for our Headquarters in Berkshire, United Kingdom. But also, with new ideas, to explore, to expand and to craft these unique, insider experiences that our guests have come to adore.